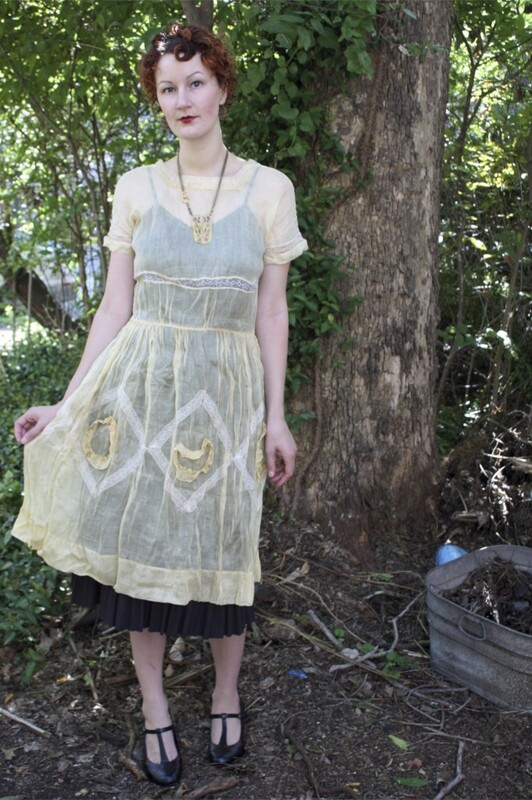 When I first found this dress it was wrinkled and sad. 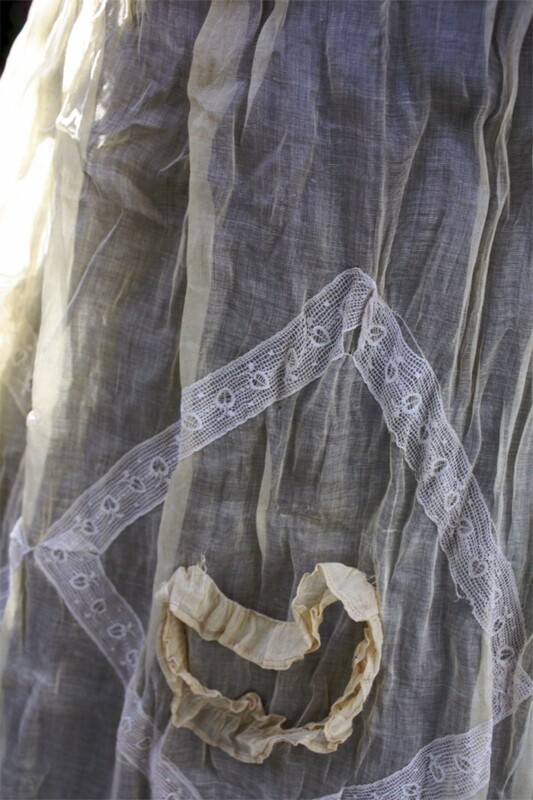 The previous owner was not very nice to it and the inner seams were all unraveled due to being put in a washingmachine! 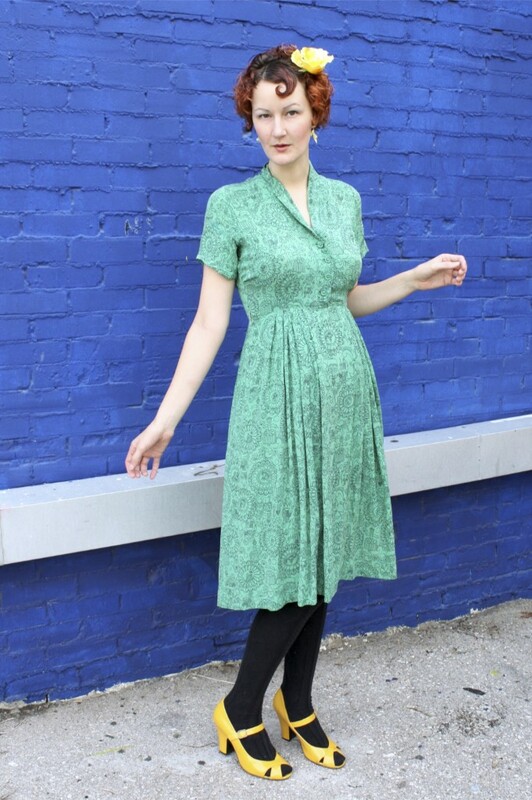 It’s a darling dress – and so worth the tiny amount of money I paid for it. It has lovely ruffled details at the front and three panels on the front of the skirt. The print is really what made me fall in love with it – little smiling faces on the leaves and clovers! Today is a special day because I finally have a day off of work! I have been working Saturdays for the last few years and I got today off as a fluke. Caitlin and I went for vegan breakfast at Bouldin Creek and I saw my birthday-twin, Tony and we traded tattoo stories. 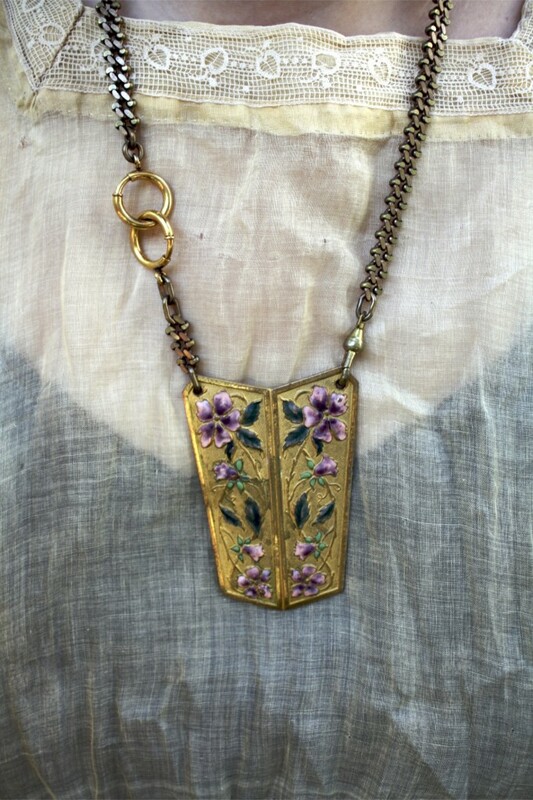 Today I’m going to work a lot on school work and maybe do some mending on a 1930s velvet dress I rescued last weekend. 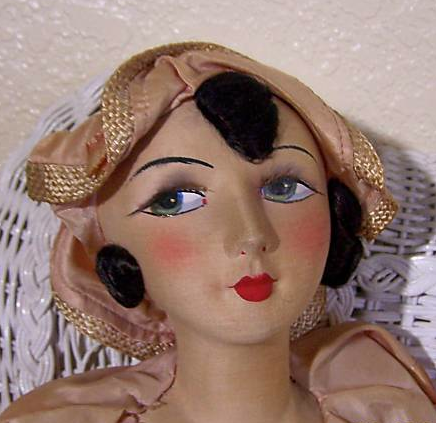 Today’s fashion inspiration is taken completely from Boudoir Dolls! 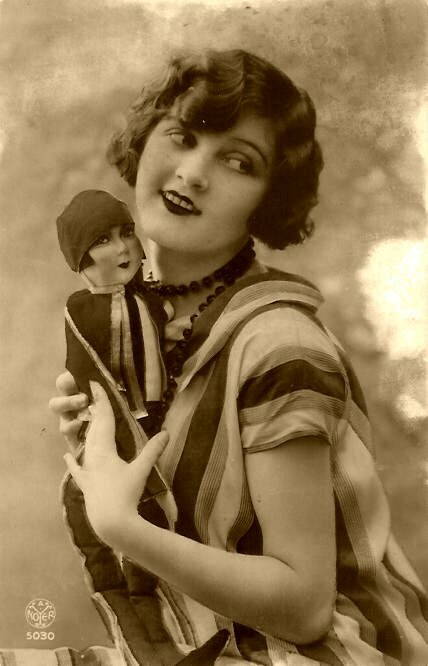 I don’t own any boudoir dolls yet, but I love the images of flappers in their boudoirs cuddling their little dollies. 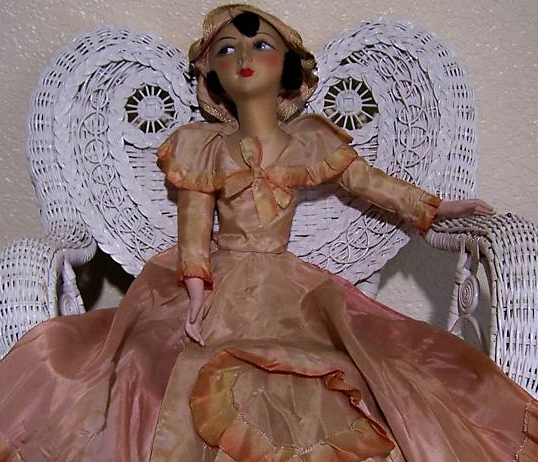 Here is a doll that is up on ebay right now: kiss curls, cupid’s bow, and falling apart dress? Check! 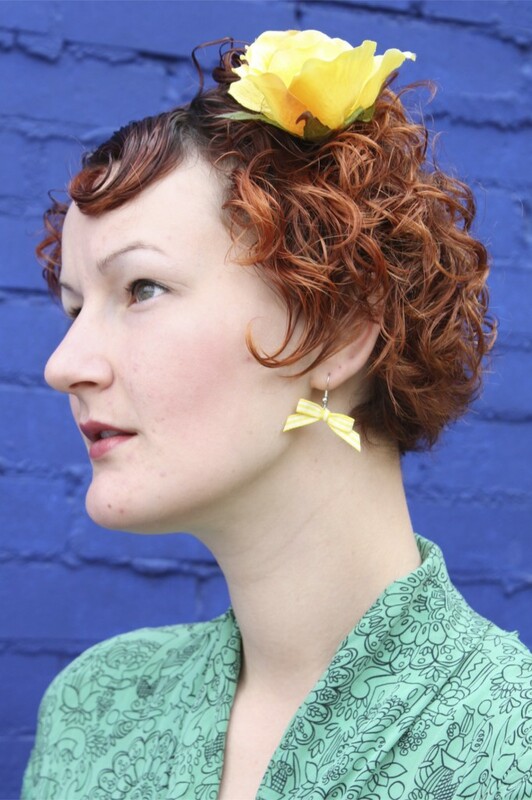 Yellow and white gingham bows made into earrings – did that meself! Today is my third day of using Jojoba Oil on my hair and face and I’m really liking the results! I mix a few drops in with my moisturizer at night and my skin looks lovely in the morning. I’ve also been eating one coconut for breakfast in a smoothie, and I’m sure that has something to do with it as well! 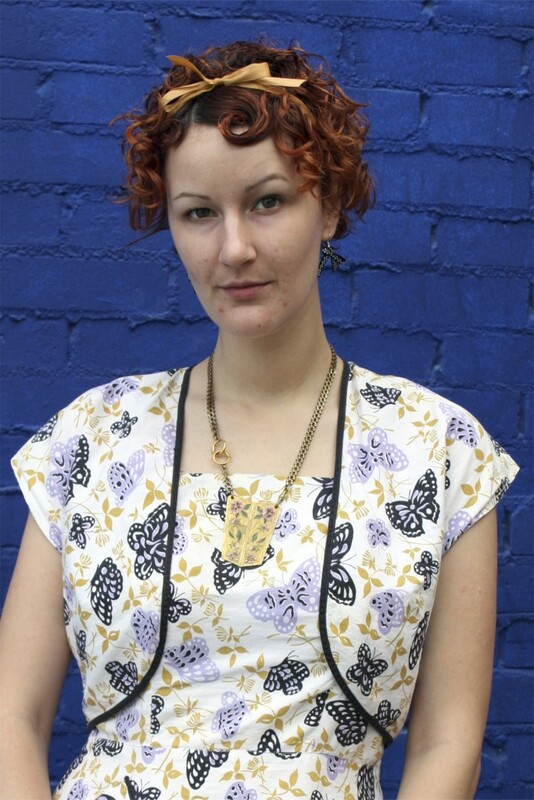 When I first began documenting my daily outfit posts, I would do the “detatched sideways glance” in nearly every photo. I’ve tried to shift myself off of it, because it looks quite silly, doesn’t it? Today was a lovely day and I wore one of my favorite dresses to work. 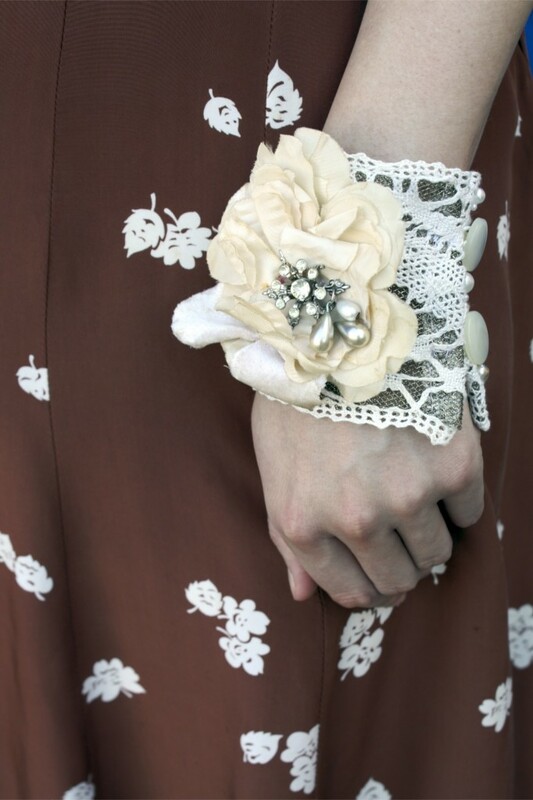 I was feeling a little like Betty Boop so I added a little lace garter just as decoration as an afterthought. I have one of the most fun jobs on the planet – I work at a toy store! 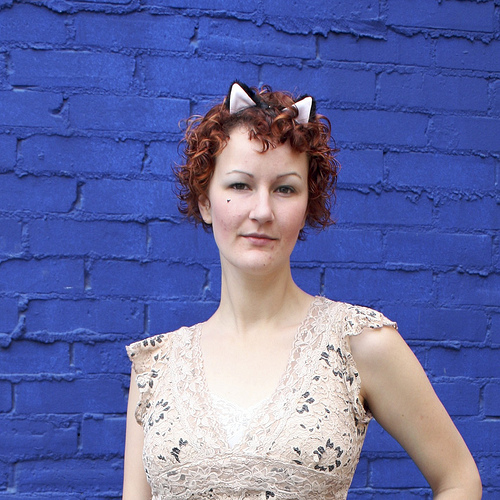 I often wear my cute little ensembles to work topped off with a pair of kitty ears. I borrowed these from my blue haired Blythe doll who is meant to be a kitty can-can dancer, but I think they are too big for her head. 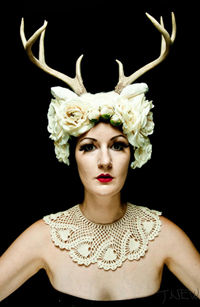 On me, however, I think these ears in particular are understated and sweet and not too costume-y. I have, on several occasions, walked into my grocery store and wondered why all of the old ladies in the vegetable aisle were stopping to look and smile at me. When I get to the check out, the cashier is usually kind enough to tell me that he likes my ears. I hadn’t even known I was still wearing them! This has happened more than once! Now that it’s getting cooler in Texas, I can start wearing my fall wardrobe! 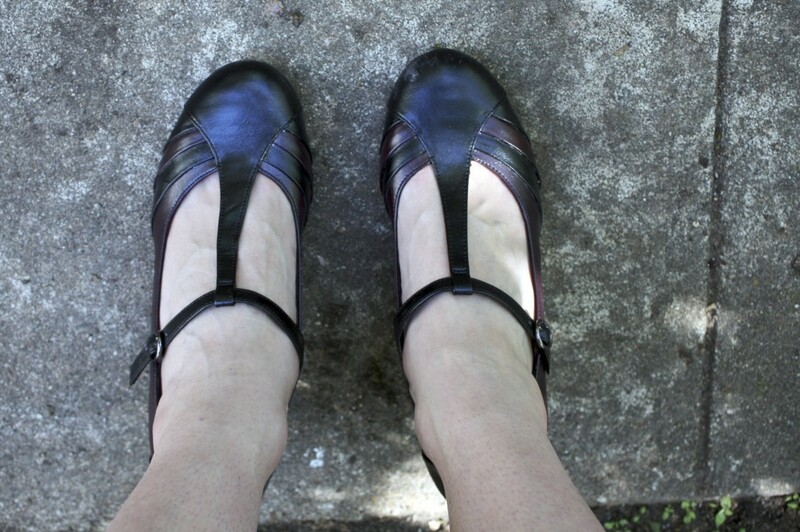 Secret fashion faux pas: I like to wear creme/brown/black all mixed together. Sometimes it makes for a successful outfit. I liked all of the light tones blended together in this mix. If I could change one thing, it would be the black lace accents on the shirt. 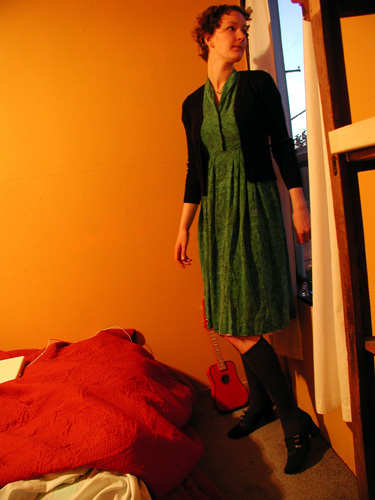 When I was in Brazil, Guilherme’s mom gave me a few dresses. I liked them but they aren’t usually my style: cotton, big prints with elastic waistband. 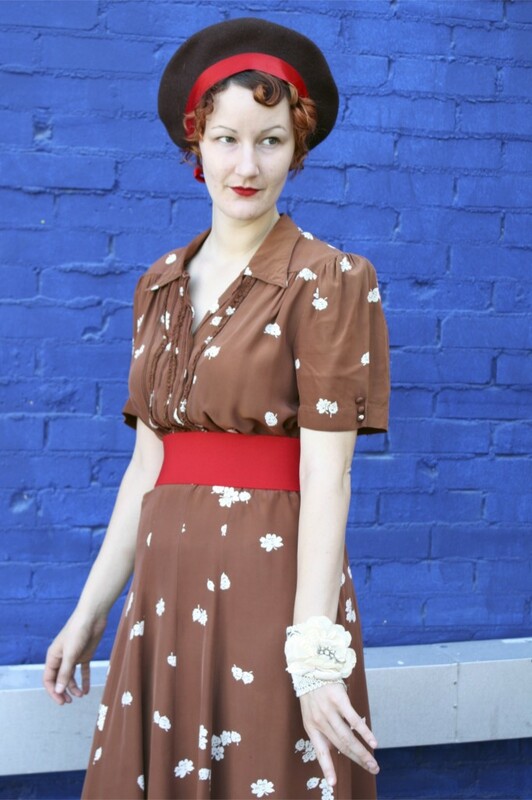 However, this is an example of a very atypical dress and accessories that I pulled together into a rather satisfactory outfit! I have never been one for animal print nor for gold accessories, but I think they can mix in a chic way.